I found this on the adobe community page but I cannot find the password part in the power tools.. 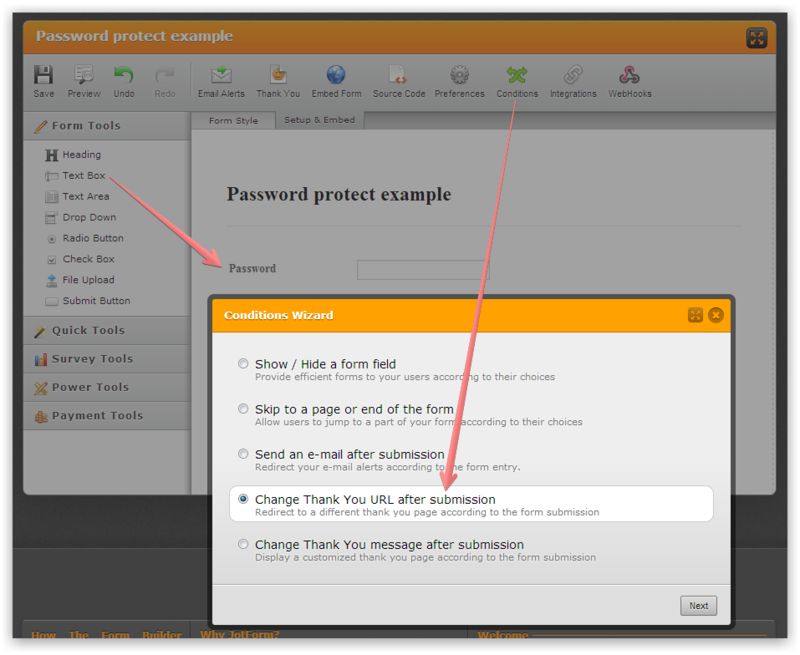 FINALLY, I'VE FOUND AN ANSWER TO PASSWORDING A PAGE OR SECTION WITH ADOBE MUSE WITH GREAT SIMPLICITY AND ALLOWING YOU TO 'DESIGN' THE PASSWORD BOX INTO YOUR PAGE!!! Even better is that you don't HAVE to have username AND password (although you could if you wanted to), so just a simple PASSWORD box and enter button DESIGNED BY YOU WITHIN YOUR PAGE, rather than nasty popups etc. Importantly, the password itself is NOT within the source code of your page either!! The solution is at Jotform.com. I believe you can do this with a FREE ACCOUNT, although it's SUCH a great service for Musers that I paid for a proper account. Before you do this, create a page on your site saying "Wrong Password. Please go away" or something to that effect. You'll need it for when they enter the wrong password. 7. Embed the button on your page and you're done!!! I hope this helps my fellow Musers! We have removed the Password field since it was used a lot for phishing activities. after i check the "change thank you..." and click next, i don't able to select anything in the "please select"-field like in the example "password"...? why? may be because i'm a free user...? Since your question is a bit different from the original one of this thread we would appreciate if you make your question in your own thread, and we will be more than glad to help you.